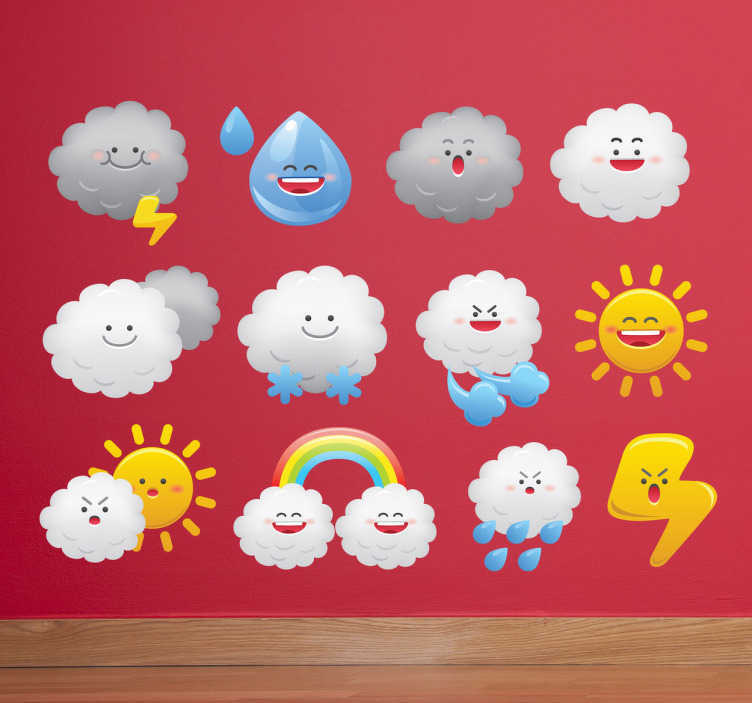 Collection of fun stickers related to the world of weather! Perfect to decorate your child's room. A marvellous variety of wall decals that you can re-arrange in any way you want. Experience the several different weather stages! The dimensions below are subject to the whole set of stickers.